Maisons Tours [Tower Houses] were drawn by Auguste Perret in 1922. The architect Auguste Perret drawn “the Avenue of tower-houses” as an impressive succession of residential skyscrapers. 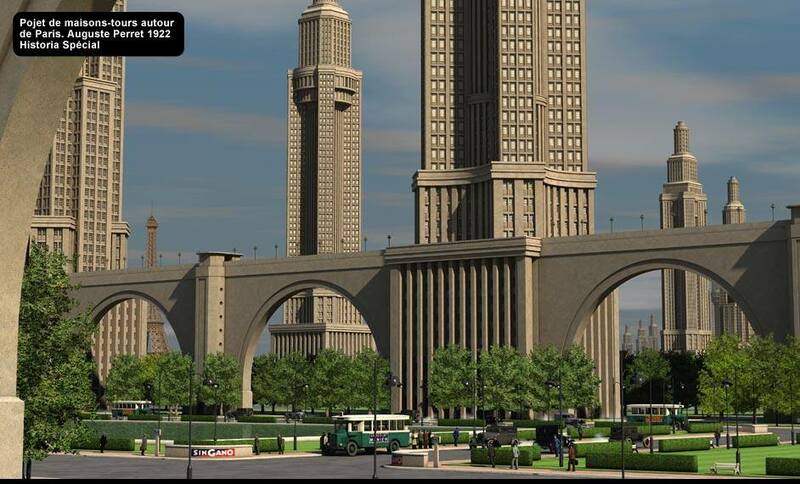 Each “Tower House” should be 150 to 200 m in height. Auguste Perret wanted to build 100 around Paris; on the edge of a 250 m wide path to the location of the current ring road. And 200 more on an avenue from the Porte Maillot to the Croix de Noailles (forest of Laye), through the site of the current La Defence. 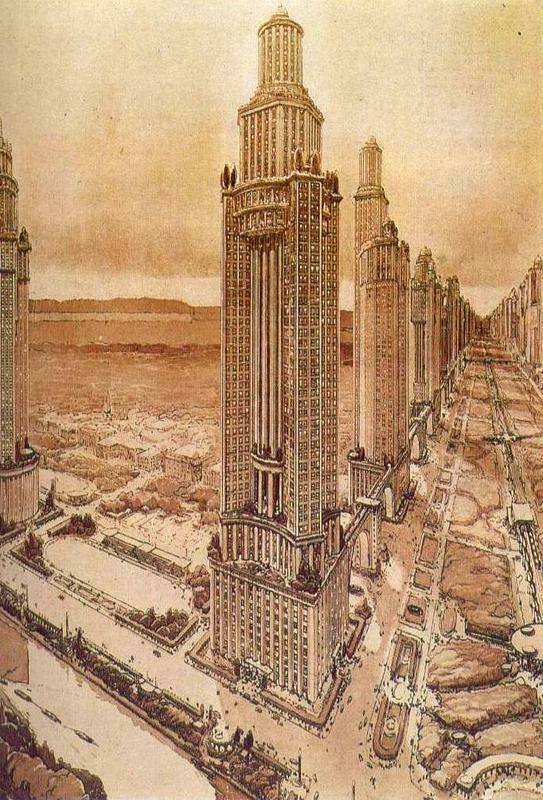 You can find the towers also on the front cover of Revoir Paris by Schuiten and Peeters.